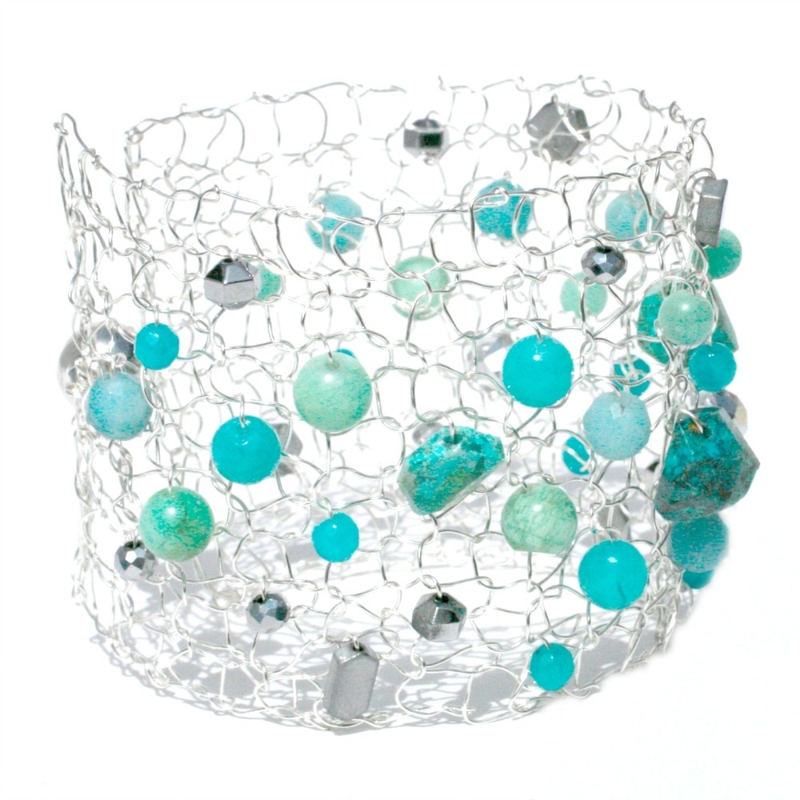 This gorgeous wide silver cuff bracelet is expertly hand knitted with beautiful chrysocolla nuggets, silver disks and jade stones in aqua mint hues. Perfect for the Summer and a real statement piece on your arm. One of a Kind as no two knit up the same. I hand string and hand knit all of my pieces and no two ever come out exactly the same. 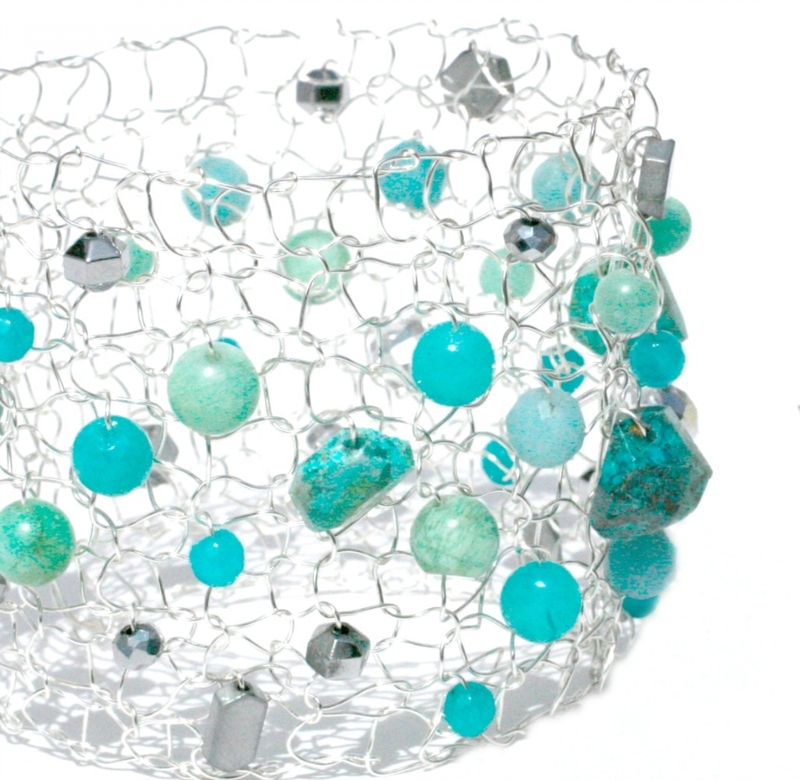 The cool shapes of the chrysocolla stand out and really pop against the silver and the shades of aqua turquoise mine dance along the wire. The cuff is knit with silver plated wire - for years of use without tarnishing. A modern statement for your wrist. Please indicate wrist length at time of purchase.